I thrive on routines and schedules. Without them, I wonder around aimlessly and motivation flies right out the window. Like a toddler, I like to know what’s coming next and I like the peace of mind of knowing what I’m doing in this moment is the best thing for me (aka, does homemaking matter?). Developing a simple schedule and routine helps me to be more intentional and more at peace throughout my day – thus helping me to create a home that makes it impossible to not think about God. Once you have created a mission statement, it’s easy to move into creating a daily schedule or routine that helps you move forward in fulfilling your God-given purpose. Chances are you already have some sort of schedule or rhythm to your day. You may not have it in writing, or color coded just right, but you do follow some sort of a routine. There was a time when I kept everything in my head, but then I got married and soon after had a baby and then another. I don’t keep anything in my head anymore. I can’t. It’s gone before it really enters. If I don’t write it down, go ahead and bet I won’t make it happen. Currently I use two methods for developing a rhythm that works for me – schedule and routine. 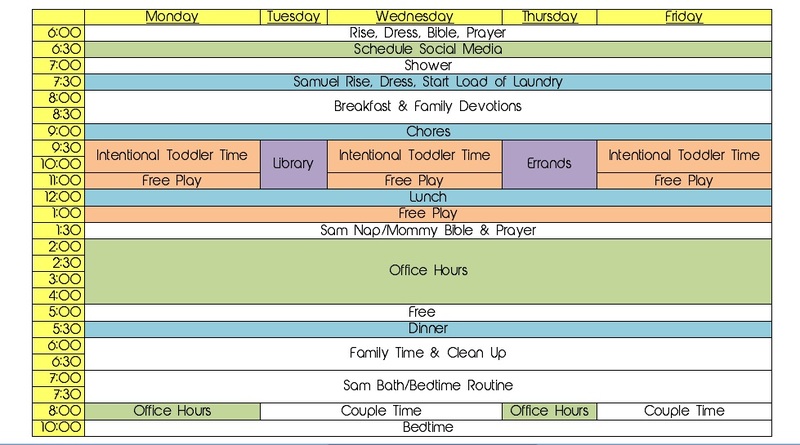 The key to developing a simple schedule and routine is to figure out what works for you and your family! Remember we’re all different. I’m going to show you what I do, but that doesn’t mean you have to do exactly the same. A few weeks ago, I settled down to an afternoon of planning (you know the days when you decide to get your entire life in order?). I came across a blog post from my friend, Kayse, and I knew she was on to something. 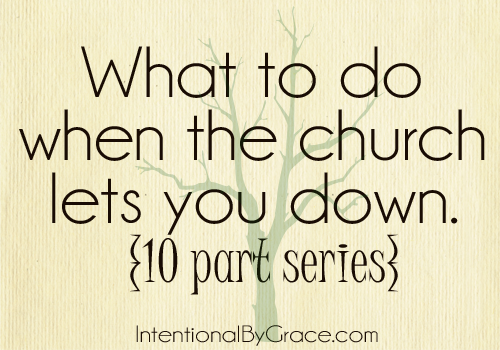 I felt like our days were chaotic, and I noticed my son was having more tantrums during the day. It was exhausting, and I lacked motivation to do anything at all! Let alone the bare minimum like brushing my teeth or getting food on the table. It didn’t take long for me to realize that we had fallen out of routine. We didn’t have a rhythm to our days, and both of us were getting bored and testy! So I changed that. I created a schedule for my little family to help us feel less chaotic and more peaceful – schedules always make us feel more peaceful. I color coded simply because I wanted to be able to glance at my schedule and see how much time I’ve allotted to each of my priorities (and of course it does make it look more visually appealing). You’ll see “Bible” on the schedule twice. That’s not because I’m super holy. It’s because with pregnancy, I don’t know which time will end up being better. Right now neither or those times are working again … but I’ve told myself twice during the day to stop what I’m doing and open the Bible! Hopefully I can make one of them happen. To be honest, throughout the day I RARELY look at the clock – a habit that drives my husband crazy! But you know what? I’m rarely late for anything either. If I follow a clock, I never do well, but if I simply dig into the routine, I’m much more productive. So although there are times on the above schedule, that does not mean I stick to those times all day long. However there are a few “hard times” we try to enforce as closely as possible. For example, breakfast is always at 8am, lunch at noon, nap at 1:30pm, dinner at 5:30pm, and Sam’s bedtime at 7:30pm (we don’t often deviate from this on the weekends either). These times affect all of us, not just me and my level of comfort. In order to be respectful of each others time, we make these “hard times” a priority. In addition to having a written schedule, throughout the day I work in routines. At this point, we leave our time slots and just start a routine. The evenings are pretty scheduled until Samuel’s bedtime and then we move into routine. Depending on the night, it could be couple time or office hours for each of us. Mark and I try to be in bed by 10 or 10:30. Overall developing a simple schedule and routine has been working very, very nicely for our family. I stay more motivated, and I’m always more productive when I see in writing what I’m supposed to be doing at different times of the day. Of course, we don’t follow this perfectly every day, but our schedule and routines are in place to help us get back on track when things seem to spin out of control. 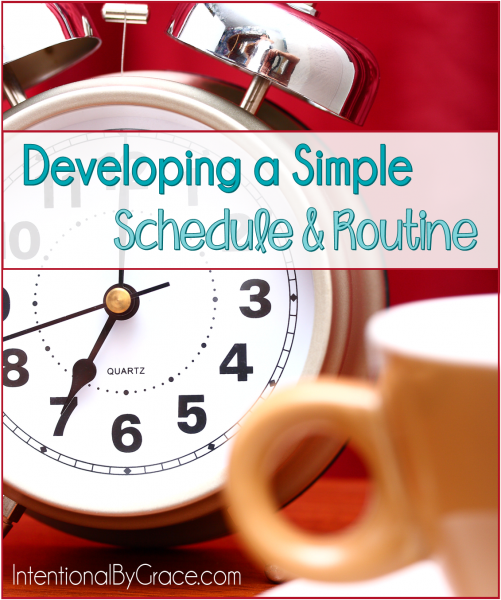 Developing a simple schedule and routine has helped us create a more peaceful home because everyone is on the same page and knows what to expect! I love this! Obv every family is different but it’s an awesome jumping off spot for me as I try to figure stuff out!! Thanks for sharing!! I love your schedule! I wish I could just cut and paste this to my life, but alas, I work full time. Doesn’t leave much time for most things. =( But I am going to make me a calendar like yours to try to be more intentional with the little time I DO have at home! Thanks for the inspiration! I do and Mark even checks it so he can see my plan for the day. Sooooo nice! We live by our schedule too and when things start to get off track it’s hard not to get grumpy! I try to be flexible but if dinner isn’t prepped by 3:00 it is not likely to get done! So wonderful to hear! I’m glad this was helpful! I am trying to figure out how to make one of these for our family but I am SO not computer savy. What program did you use to do this? Ashley, I used excel and I’ve used in the past a simple Word doc (just insert tables). Do you have excel? If you do I can email you my routine file and you can customize it for yourself! Just a thought. That’s what I thought bit I tried for a couple hours last night and couldn’t get it to do what I wanted it to do lol. So yes, that would be wonderful if you could email it to me! What’s a secure way for me to get you my email address? I have just come across your blog and LOVEEEEE it! It is so encouraging (and interesting) to see what other intentional mamas are doing to engage and teach their children. Thank you for taking the time to share your thoughts and life! In your schedule you have things like chores and office hours. During these times, what do you have your kiddos busy with? Is this a time that they would be playing independently? I notice if I sit down to work on my computer or am busy doing a chore for too long my son starts to get really impatient and I don’t want him to feel as though I am unavailable or too busy to play with him. I am going to start practicing a scheduled independent playtime for him but I guess am wondering what is realistic in other peoples lives and what to expect from my little man. Hello Leigh Ann! This post was super helpful, and I love knowing that you are not a perfect super woman who is already brain-geared to get everything done–that you get tired, discouraged, and unmotivated just like me. 😉 I had a question about your scheduled routine. What do you do with the kids during your office time? I feel like all day I have to keep my 21 month old and 3 and a half year old occupied, except during a possible 1-2 hour nap. So I feel like I never have time to get anything done, ie make dinner, clean, do budget stuff, unless I plunk them in front of the TV, which I’m trying to get away from. I know I need a schedule and I need to figure out more activities to do so that we don’t have to resort to TV, and I definitely need to implement a schedule. Anyway, now I’m just rambling but my real question was, what do you do with them during your 2 hour office time? Just wondering how you’re able to focus with the two kids around?? My two hour office time is usually during their rest time/nap time. My youngest naps for 2-3 hours, and I’m in process of training my oldest (pretty new four year old) to play in his designated area (whatever space is available – we’re living with my in-loves right now) for 1 hour and then the other hour I give him technology time. I choose a 1-2 videos for him to watch and/or learning games on the iPad. This is the only TV time he gets so most of the time I feel okay about it. 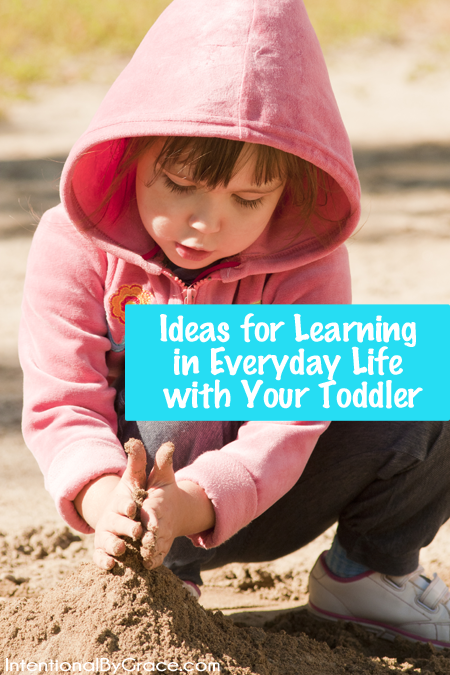 When my youngest wakes up from a nap, I usually set them up with some sort of sensory bin/activity because it occupies them and I can wrap up some work time. On paper, this sounds glorious, but it rarely goes as planned. I just do what I can when I can. 🙂 I do have help from my husband now that he works from home. He usually takes the boys from 3-5 so I can get work done if the daytime office hours don’t go as planned. Hope that helps! Give yourself some grace. The TV isn’t all terrible. Just choose what they watch and don’t be afraid to let them be bored. Those first few days of telling my children to “figure it out” is pretty brutal. BUT they catch on. We talk a lot about being a family team. We all have to do our part. They have to give Mommy time to get her stuff done so she’s available to play with them! Hang in there. You’re doing awesome!